Scientists from the Hopp Children's Tumor Center Heidelberg (KiTZ), together with two other teams from the German Cancer Association (DKTK) and researchers from the UK, have shown that a group of inflammatory messengers slows down or even stops the growth of certain brain tumor cells. This molecular mechanism could be the key to new therapeutic approaches. The "Hopp Children's Cancer Center Heidelberg" (KiTZ) is a joint institution of the German Cancer Research Center (DKFZ), Heidelberg University Hospital (UKHD) and Heidelberg University. The pilocytic astrocytoma (PA) is a brain tumor that is common in childhood and classifies as a low-grade glioma. It grows slowly and can be treated in many cases, especially if it is possible to completely remove the tumor. A protective mechanism, called oncogene-induced senescence (OIS), stops or interferes with the proliferation of tumor cells. This mechanism is considered to be the cause of slow tumor growth in the PA. "Our studies in a cell-based model show that OIS in the pilocytic astrocytoma is regulated by a group of proteins, specifically inflammatory messengers," explains Juliane Buhl, KiTZ scientist and lead author of the publication, who now presents the research in Clinical Cancer Research, "Measuring these factors could help to better predict the progression of tumor growth in PA patients." In addition, knowledge of this molecular mechanism opens up new therapeutic approaches. Till Milde, group leader at the KiTZ, DKTK scientist at the German Cancer Research Center (DKFZ) and senior physician at Heidelberg University Hospital, explains: "Our discovery shows why many tumors are in a resting phase for a long time, in which they hardly respond to chemotherapy. However, we assume that we can specifically attack the cells with certain drugs called senolytics. Based on these results, we are currently reviewing the possibility of a clinical study with senolytics in pediatric PAs." The research has been carried out at the "Everest Center for Research on Pediatric Low Grade Brain Tumors" located at the KiTZ and the University College of London, UK. The project is funded by the British "The Brain Tumor Charity" (https://www.thebraintumourcharity.org). Pilocytic astrocytoma (PA) is a type of brain tumor common in childhood. Use is free of charge. The German Cancer Research Center (Deutsches Krebsforschungszentrum, DKFZ) permits one-time use in the context of reporting about the topic covered in the press release. Images have to be cited as follows: "Source: KiTZ". The „Hopp Children's Cancer Center Heidelberg" (KiTZ) is a joint institution of the German Cancer Research Center (DKFZ), Heidelberg University Hospital and Heidelberg University. As the National Center for Tumor Diseases (NCT), which focusses on adult oncology, the KiTZ is based on the US model of so-called "Comprehensive Cancer Centers" (CCC). As a therapy and research center for oncologic and hematologic diseases in children and adolescents, the KiTZ is committed to scientifically exploring the biology of childhood cancer and to closely linking promising research approaches with patient care– from diagnosis to treatment and aftercare. 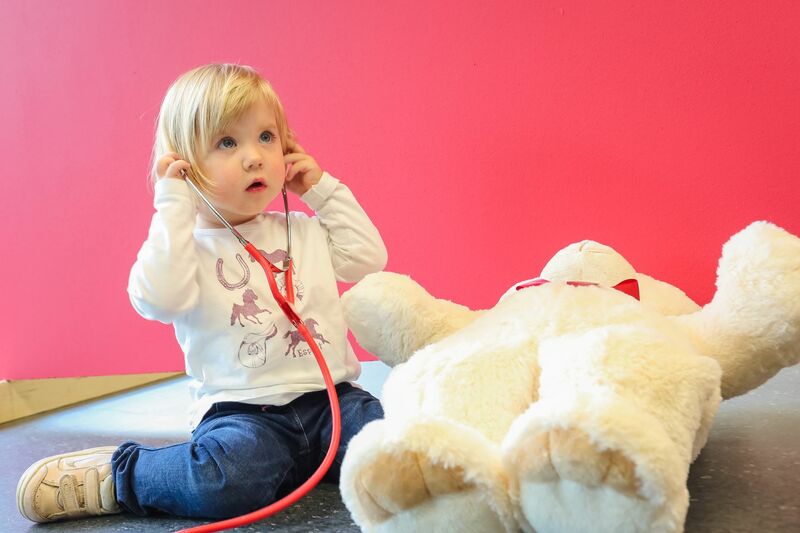 Children suffering from cancer, especially those with no established therapy options, are given an individual therapy plan in the KiTZ, which is created by interdisciplinary expert groups in so-called tumor boards. Many young patients can participate in clinical trials which ensures access to new therapy options. Thus, the KiTZ is a pioneering institution for transferring research knowledge from the laboratory to the clinic. While the KiTZ focuses on pediatric oncology, the focus of the National Center for Tumor Diseases (NCT), founded in 2004, is adult oncology. Both facilities in Heidelberg are based on the US model of so-called "Comprehensive Cancer Centers" (CCC).